Half hour ride to the dealer, 3 hour ride home! I'd ignored the Versys for ages but when I finally tried one, that engine was exactly what I'd been struggling to find. I'm replacing a CBF1000 and the thing I loved about that bike was the effortless pull everywhere in the rev range. Not found anything else to match it until now. Now I've just got to hold back until it's run in! From North Wales good choice it gets even better once run in. With a few thousand on the clock it is very enjoyable. You are a very wise man Doug. to the forum, and to Big V ownership. And as you have discovered, the engine is the jewel in the crown. It's a great bike, enjoy it . Cheers Geoff. Geoff. You have found the right bike for all-round riding. to the forum these bikes do get under your skin very quickly.....the weather looks great for riding too. Would be interested after a few rides as to how it compares to your CBF. Welcome aboard, Doug. Beautiful new ride you've got there. 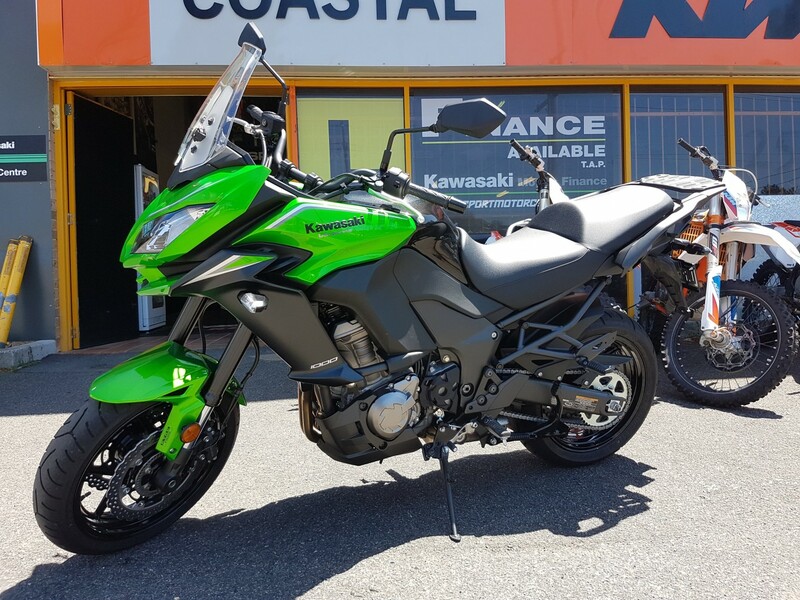 I have to admit the green wouldn't have been my first choice, but it was a good deal on a demo bike so I'll learn to love it! Now off to trawl the windscreen threads. One day manufacturers will figure this out. Maybe.